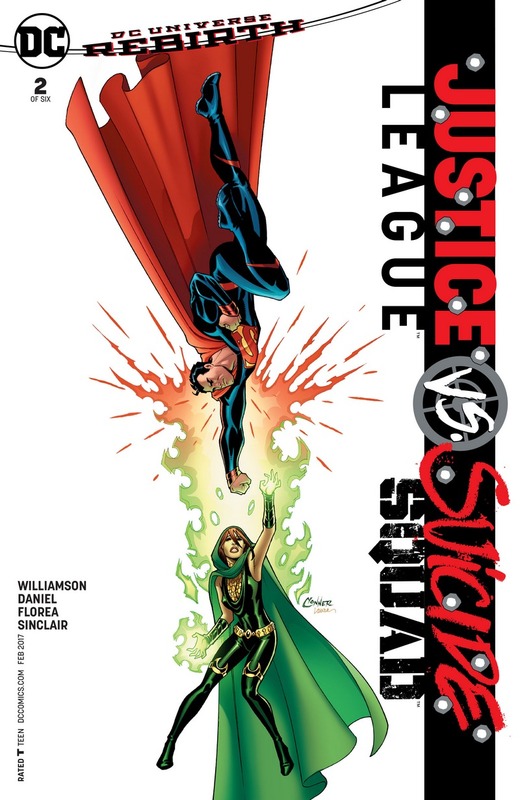 Today we’re doing Justice League vs Suicide Squad # 2 spoilers and the story suddenly got a lot more interesting thanks to writer Joshua Williamson and artist Tony S. Daniels. Check out the stunning variant covers featuring Superman and Enchantress. 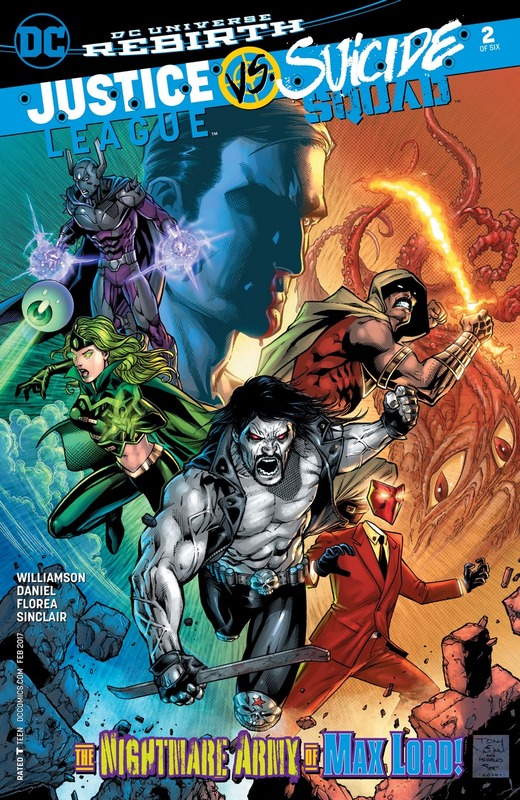 So in this issue we find out more about Maxwell Lord’s plan after the reveal last issue that he was responsible for breaking out some of the most powerful and dangerous supervillians ARGUS has ever taken care of. 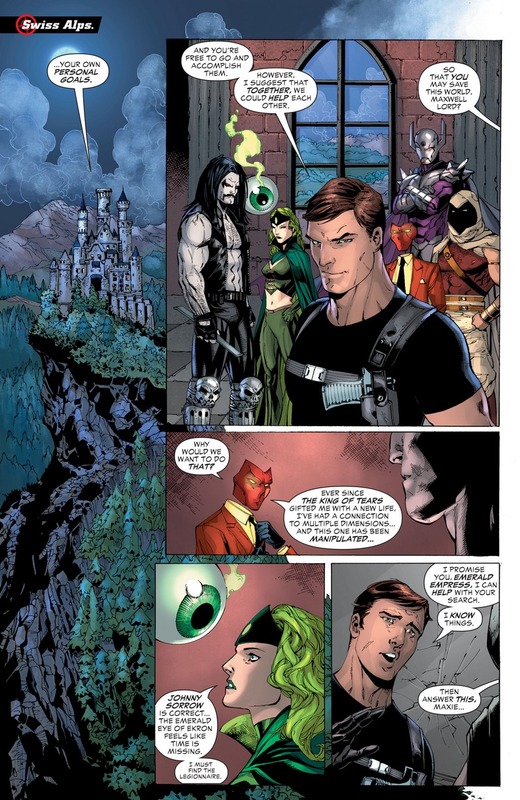 This also ties into the ongoing myster for DC Rebirth teasing the involvement of Watchmen and missing years for our heroes and villains alike. Johnny Sorrow and Emerald Empress (who I finally remember as being one of the main villains for the Legion of Superheroes). 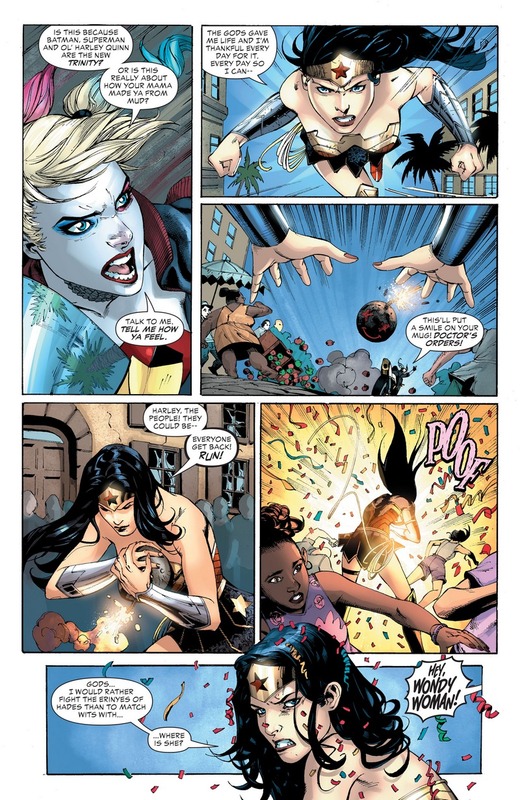 Meanwhile back in the fight between Justice League and Suicide Squad we get major fanservice… or at least serviceable fanservice. We get the really good pairing and then we get the logical pairing like Captain Boomerang and The Flash or Wonder Woman and Harley Quinn. 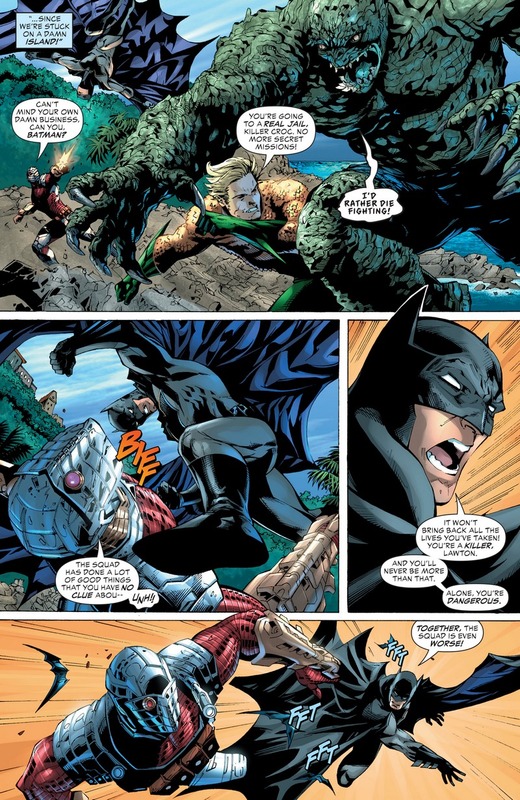 We also get a playful jab on the current standing of the DC Universe post 2016 DCEU movies where Harley claims that she’s replaced Wonder Woman as the latest member of the Trinity with Batman and Superman. 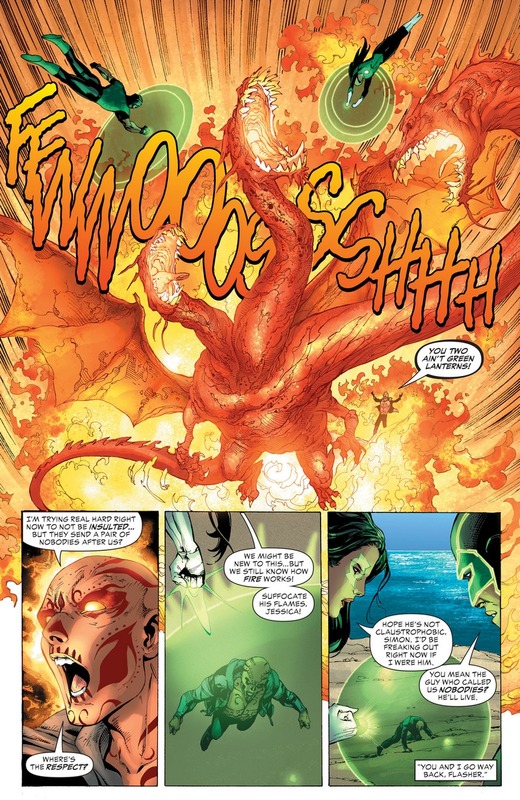 El Diablo also squares off with the League’s new Green Lanterns Simon Baz and Jessica Cruz. 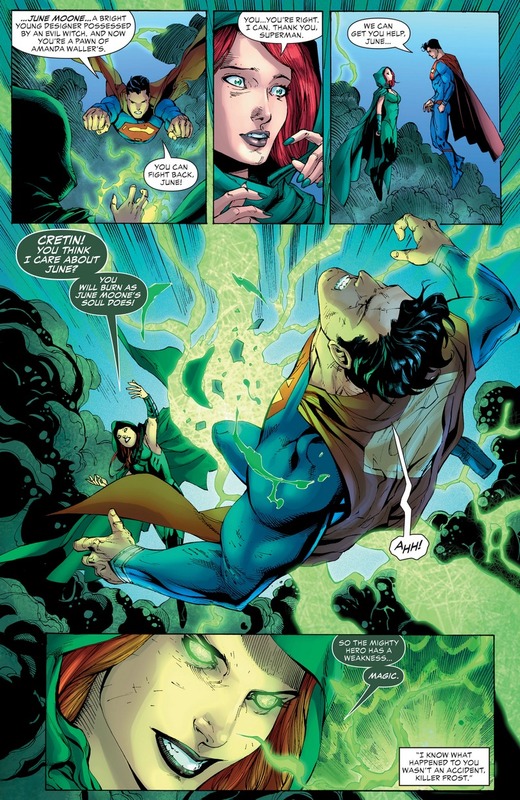 Most importantly the DC Universe, or at least Waller’s camp finally find out Superman’s “other” weakness, magic. 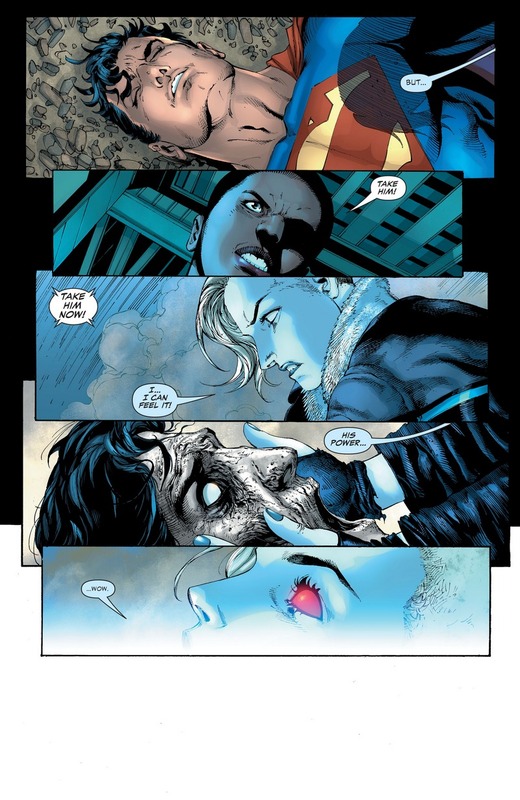 Just when the League is about the round up all the members of the Suicide Squad, Waller does a hail mary game and informs Killer Frost that she can take Superman’s life force to augment her powers. 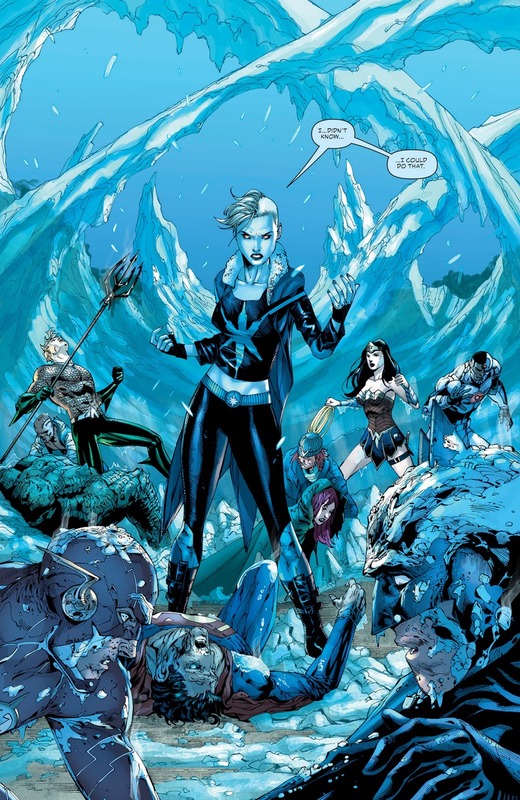 She bloody freezes not just her team but the entire Justice League as well. Who knew she can be that powerful with the right power source? 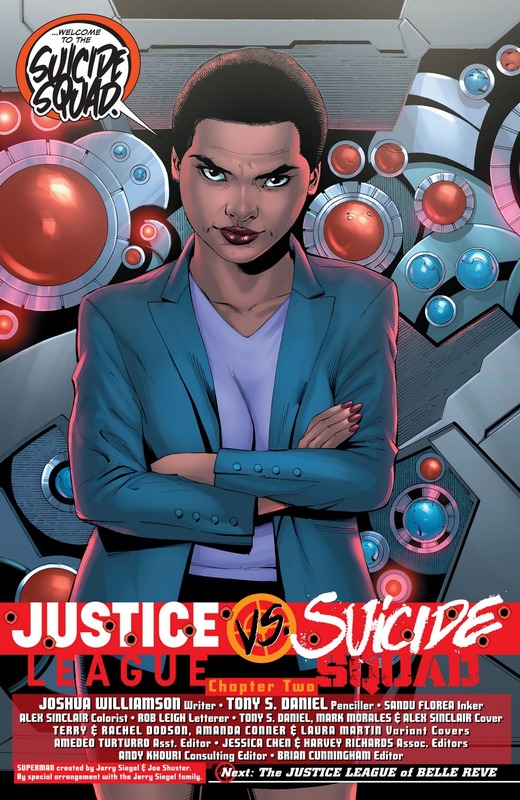 This also makes things more interesting when she joins Batman’s Justice League of America next year. 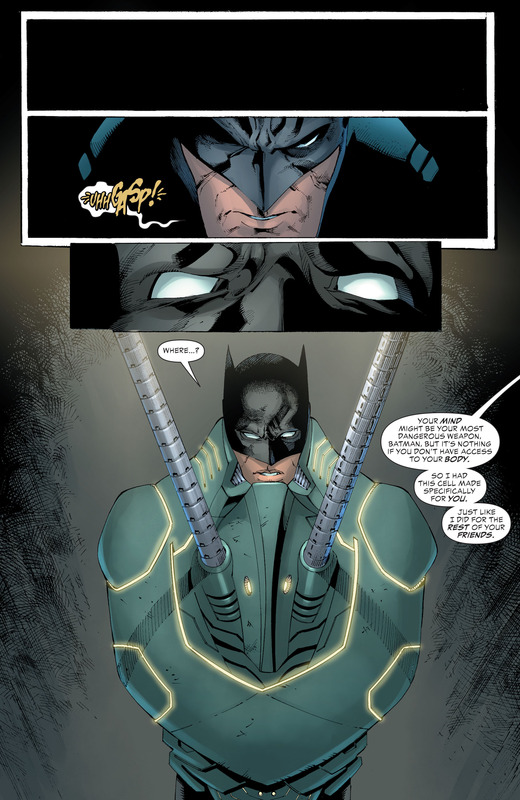 He, as well as his teammates in the League have all been captured by Amanda Waller and have been placed in containment units. Pretty good issue, a strong issue actually. 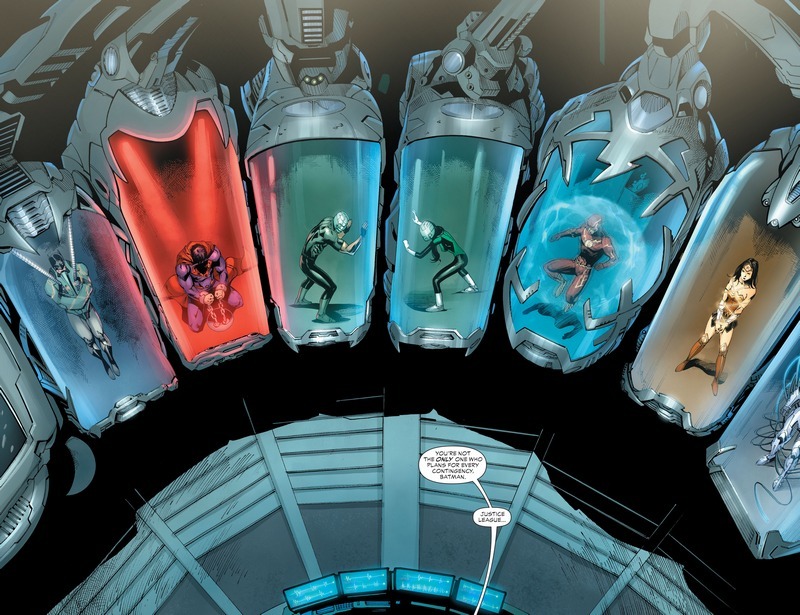 Tony Daniel’s definitely brought his A-Game for this issue.